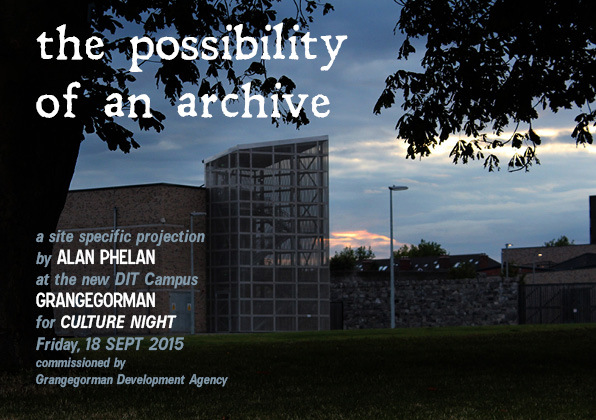 Phelan’s site specific projection is a special commission for Culture Night 2015 and coincides with the launch of a new phase of public art commissions arising from per cent for art as part of the redevelopment of this new urban quarter in Grangegorman. 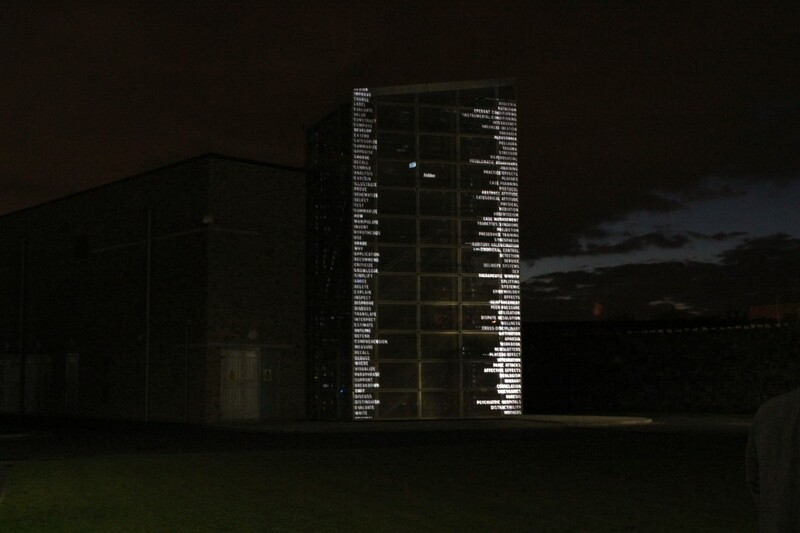 The piece is a video projection onto an exterior stairwell of animated text that references the rich historical context of the site. The records of the former mental health institutions that were in the Grangegorman area are now mostly held in the National Archives. 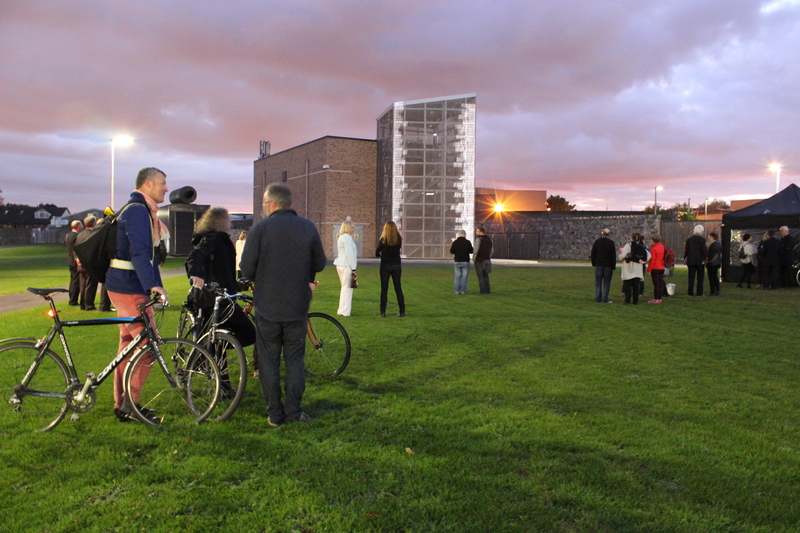 With the strict accessibility conditions to this material Phelan has created a work that presents streams of institutional and bureaucratic words and phrases that reveal the changing sensitivities in language that have described the people occupying the site then and now into the future. Sources stem from column headings of historical registers as well as keywords from the professions of mental health, education, and archive administration. Together the animated texts present possibilities, or rather the difficulty in the representation and use of such material. Phelan also works in the archive sector and more recently this has influenced several projects that have looked at institutional histories and art collections within a gallery and museum context. It is from this perspective that he has developed this new work which offers a prospect of a history that is not forgotten, but temporarily unavailable, a subtle and sombre reflection on a complicated and troubled history. This work is typical of Phelan’s his wider practice where he often uses language and text in approaching complex and sometimes conflicting ideas around history, politics and culture. 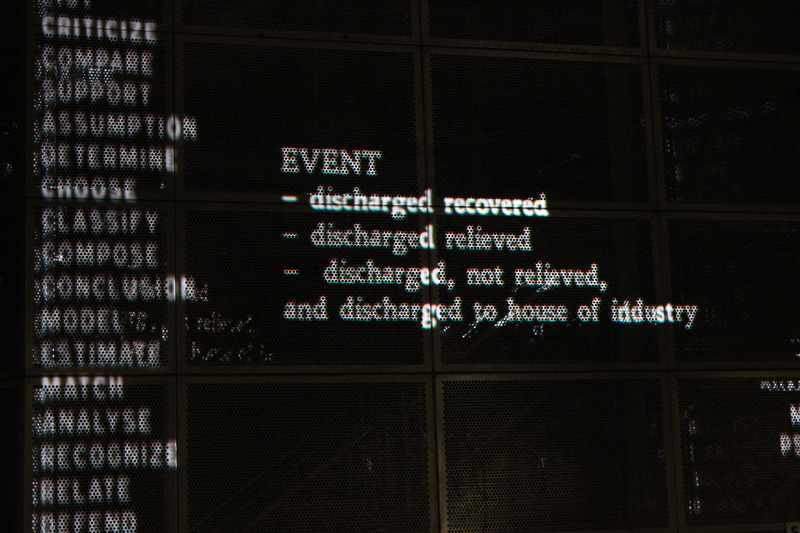 This can result in an organisational structure, like his use of only the italic words from a philosophical book to configure a large mixed body of work; or the playful pun of selecting artists to work with whose name sounded similar to his own; or using the random occurrence of text embedded graphically in a collection of images to create dialogue for a film.